Exquisite single story traditional home in the Vias! A rare find with the ideal location on Via Tuscany and only steps to the Winter Park Racquet Club. 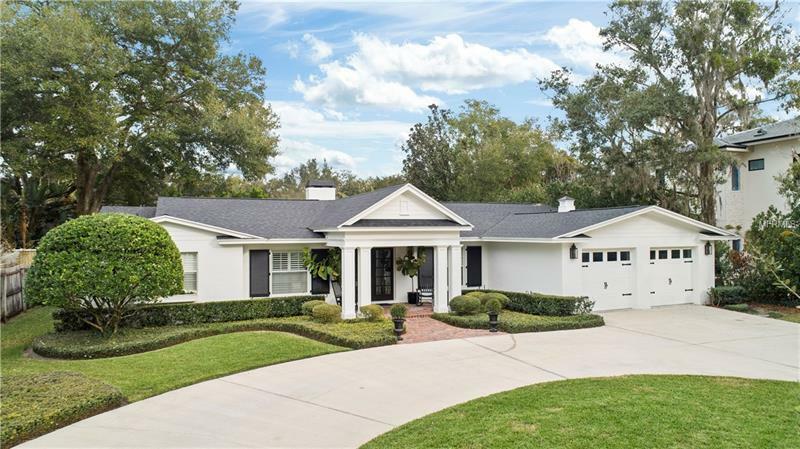 This home is surrounded by multi-million dollar estates in Olde Winter Park. A four bedroom, three bath split floorpan, this stunning home was completely redesigned in 2006 with new plumbing and electrical. Featuring a bright open floor plan, custom millwork, hardwood floors, double sided fireplace, formal dining room plus an office with custom built-ins. The gourmet kitchen is a chefâs dream with a large center island with teak countertop, stainless steel apron sink, beautiful custom wood cabinets, granite counters, commercial grade gas cooktop and DCS double ovens. The kitchen is the gathering area of the home and opens to the living and family room. This home is made for entertaining! Adjacent to the kitchen is a newly expanded mudroom and laundry area built by E2 Homes in 2015, perfect for the modern lifestyle. The master bedroom has a vaulted ceiling with wood beam and features a large master bathroom with dual vanities, garden soaking tub and separate shower. There are three additional bedrooms, including a rear bedroom with ensuite bath. The outdoor space includes a spacious circular drive and front porch lovely for rocking. The rear yard has a brick patio, stone fountain and mature landscaping. New roof late 2018, painted exterior 2017 & interior 2018, New AC system and tankless water heater 2015. Great schools!